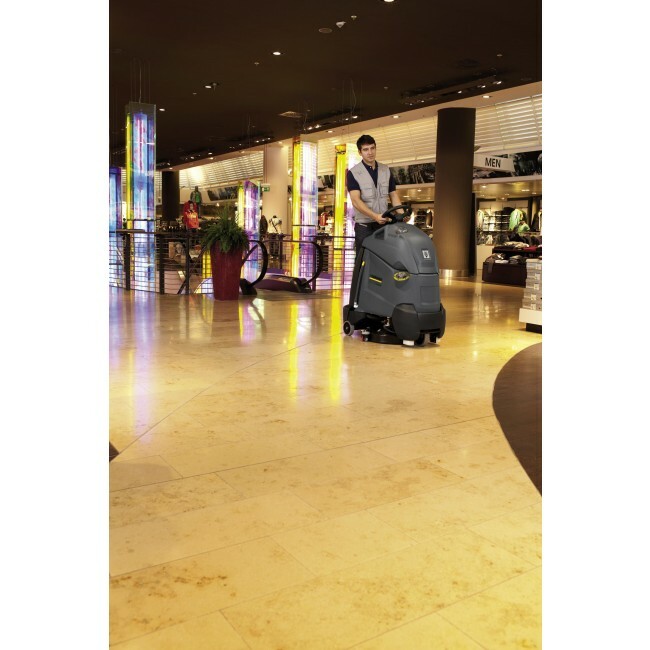 Step-on-scrubber-drier with 55cm working width and 40 l tank capacity. 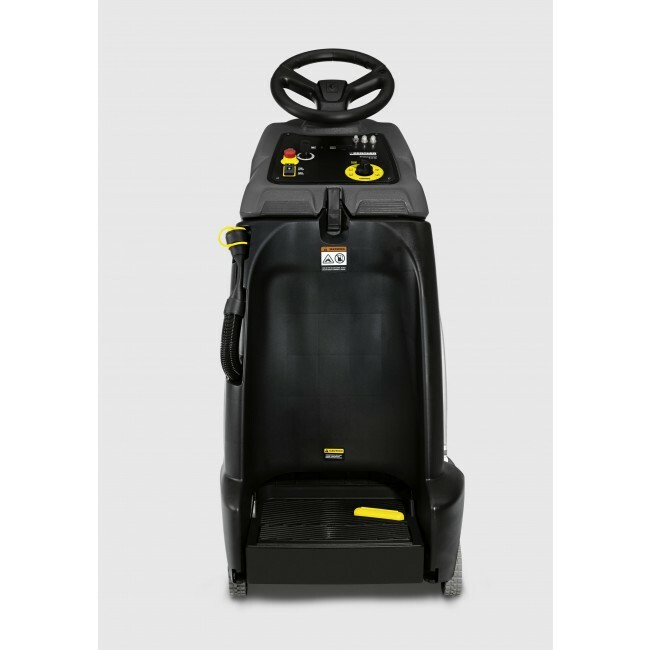 The step-on- machine combines the manoeuvrability of a walk-behind machine with the speed of a ride-on machine. 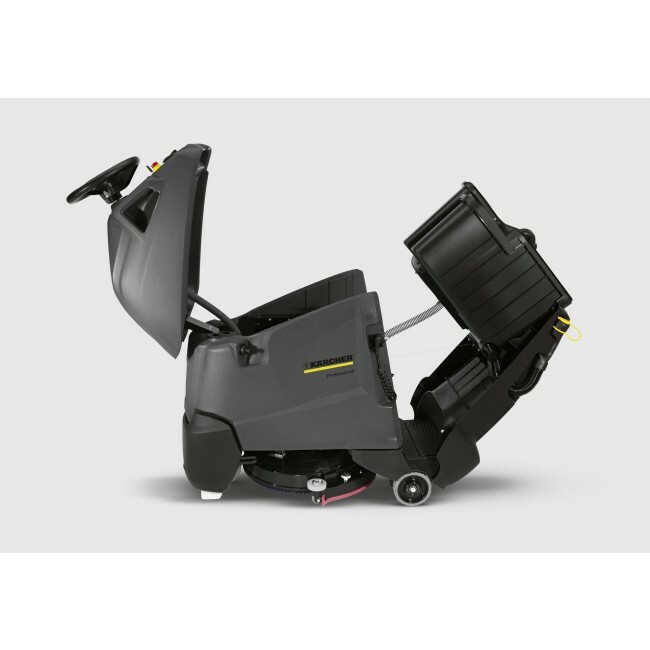 The BR 55/40 RS combines the productivity of Kärcher’s proven step-on design with the dimensions of a small walk behind machine. 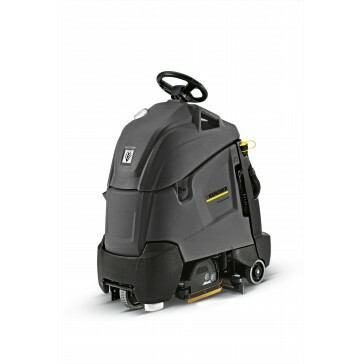 With unrivalled visibility, manoeuvrability and cleaning performance from its 55cm roller brush or pad, the 55/40 RS brings unprecedented levels of convenience and productivity to the scrubber drier market. 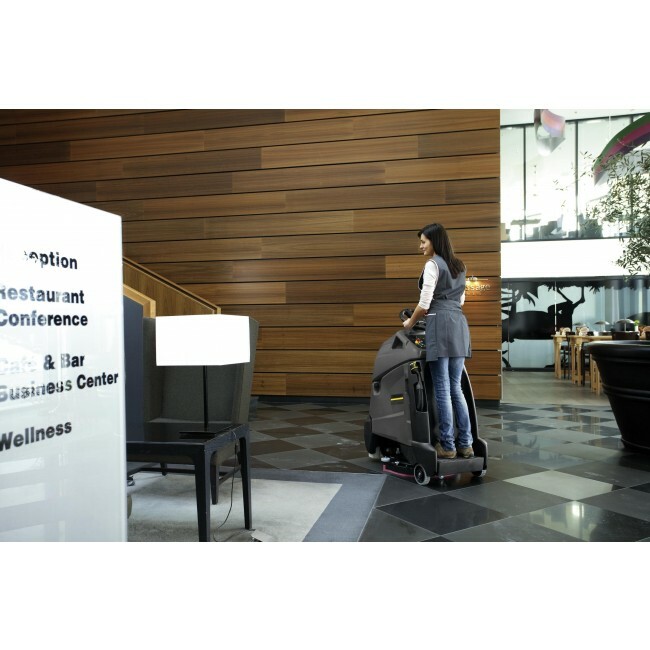 eco!efficiency mode saves time, energy, water and cleaning agent. The machine is simply connected to the water supply. The water supply is automatically shut off when the machine is filled to capacity. 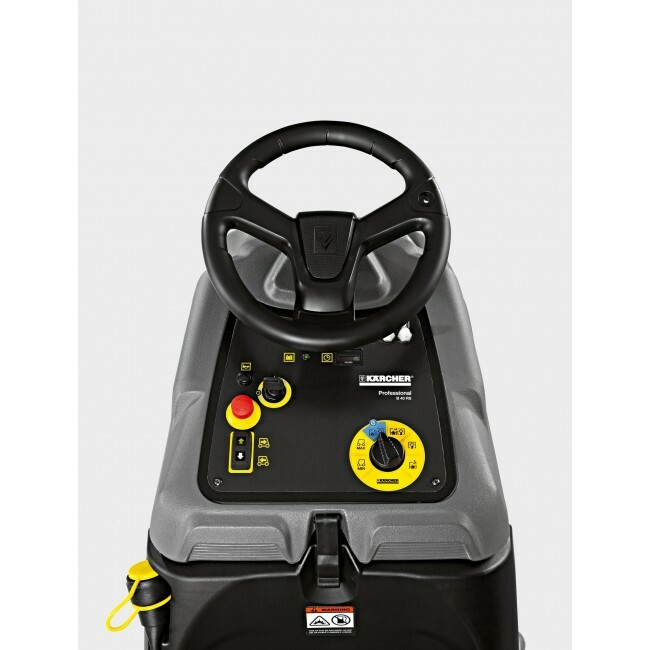 This saves time, as the operator can do other jobs in the meantime. Saves time, energy, water and cleaning agent. Only 1 button for all cleaning settings. Easy to use. 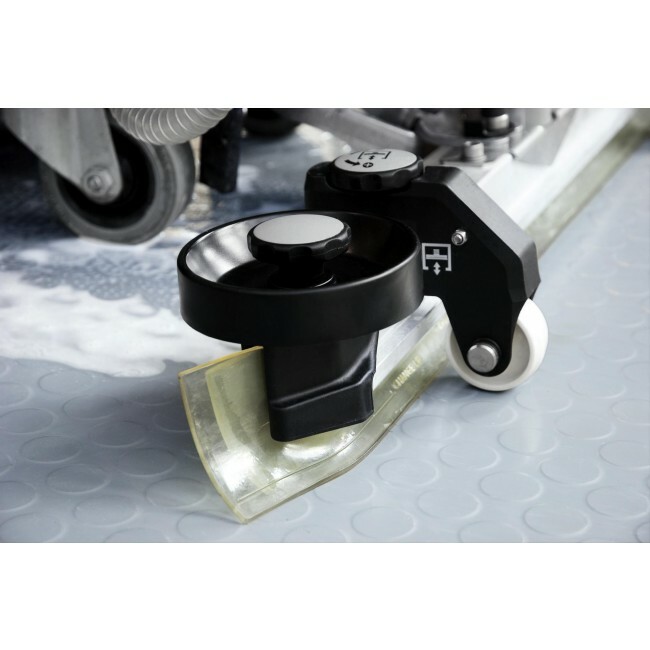 Squeegees and brushes can be replaced without tools. Squeegee can be replaced in seconds. For good manoeuvrability, high surface coverage and less subsequent cleaning. Full view 30 cm in front of the vehicle. For precise cleaning. For easy access to fresh and dirty water tank and batteries. Ready-to-go: includes high-performance gel batteries for long periods of uninterrupted use and charger for a long battery life.